We've been fans of Eye-Fi wireless memory cards for quite a while now, but recently (thanks to a shooting with a D800) we've found them somewhat restrictive. Luckily for us Eye-Fi has announced a new Eye-Fi Pro X2 16GB, Class 10 card that increases both storage and speed capabilities while retaining the wireless features we love. The new 16GB card provides twice the storage capacity of the prior Pro X2 card, while the Class 10 performance delivers ultra-fast read and write speeds. And best of all, the price has stayed the same. 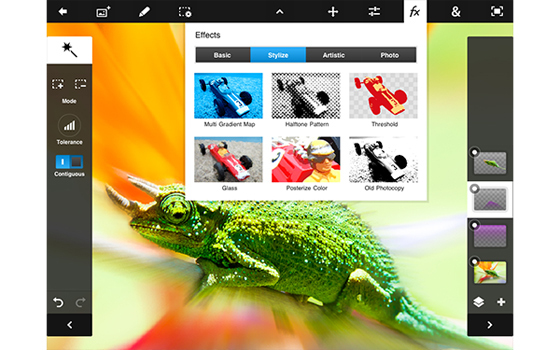 For photography fans on a budget, Photoshop Elements is often the image-editing software of choice (it costs a fraction of Photoshop CS) and Adobe has just released version 11 introducing a redesigned UI. Costing £79, Photoshop Elements 11 is designed to be a complete solution for editing, organizing and sharing photo creations. The user-friendly interface includes Quick, Guided and Expert editing modes; one-click options and big, bold icons to help users get the most from their shots. Sensor size is one of the biggest factors in determining image quality in a camera and Sony have somehow managed to pack a full-frame sensor in their latest compact the DSC-RX1. 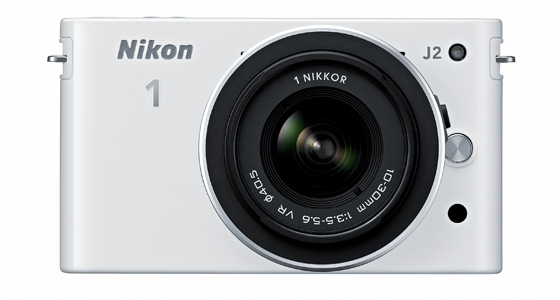 Aimed at professional photographers who what to travel light, the DSC-RX1 features 24.3 megapixels, a BIONZ image processor and an ISO range of 100-25600. A brand new Carl Zeiss Sonnar T F2-22 lens is fixed to the body and features a manual aperture control, on-lens macro mode switching and a focus control ring. Google has announced that it has acquired Nik Software, makers of standalone and plug-in image editing tools, in a bid to take on the Facebook acquisition of Instagram. It's thought that the move was driven by a desire to own Snapseed, a photo editing and sharing app, and that the technology could be incorporated into Google services including Picassa and Google+. 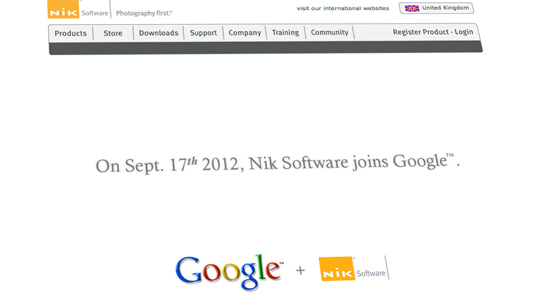 A spokesperson for Nik said: "We are pleased to announce that Google has acquired Nik Software. For nearly 17 years, we’ve been guided by our motto, “photography first”, as we worked to build world class digital image editing tools. 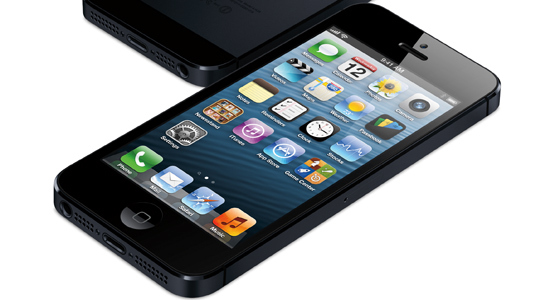 When Apple release their new iPhone, it's a big deal for photography, because the iPhone is the most popular camera in the world … so let's take a look at the iPhone 5. 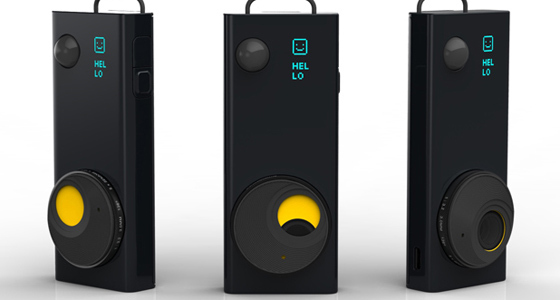 The 8-megapixel camera features the tap to focus autofocus we've seen before along with face detection and an LED flash but the camera now boasts 40 per cent faster photo capture. There's also better low-light performance and improved noise reduction, with a spokesperson for Apple saying: "You can snap more shots with more detail and clarity than ever before." Nokia recently revealed their upcoming Lumia 920 phone which features a PureView camera and Optical Image Stabilization. In fact they were so proud of the cameras ability they also released a video showing off the OIS. The problem was the clip - which shows how steady the OIS could make moving video - was faked and wasn't created using the technology Nokia was so proud of. Shortly after the release of the marketing video, it was noticed that reflections revealed the footage had been shot with a DSLR sized camera rather than one of the new phones. Oops! Photoshop Touch is one of our favourite photo-related iPad apps, and it's only going to get better after Adobe announced it was releasing a Retina-friendly update. 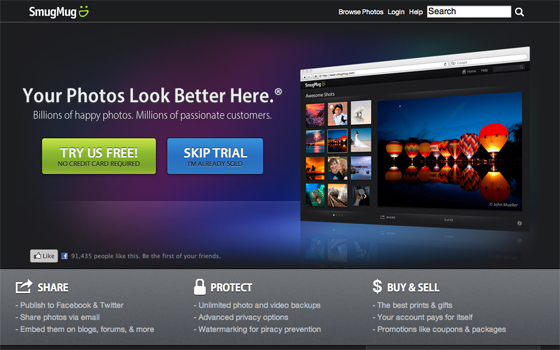 In addition to letting you see your images "like never before", Version 1.3 also allows users to work on high-resolution images (up to 12 megapixels) and add two new Effects: Shred and Colorize. Android cameras aren't just the ones you get in mobile phones anymore. 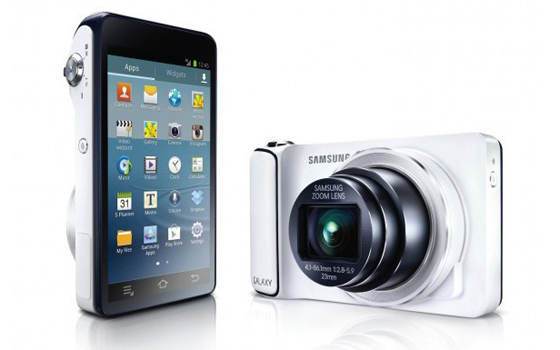 The GALAXY Camera from Samsung is an Android-powered compact camera which can also be used to share images online and run apps. The 16.3-megapixel camera looks like a traditional compact camera on one side (with a 23 mm, 21x optical zoom lens) and a mobile phone on the other, complete with Android home-screen and all the apps you would see on a phone. 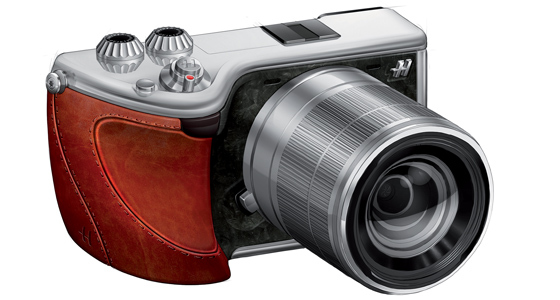 Samsung says the GALAXY Camera - which boasts 3G and WiFi - gives you "the magic of professional digital photography with the powerful intelligence of the Android Jelly Bean OS." 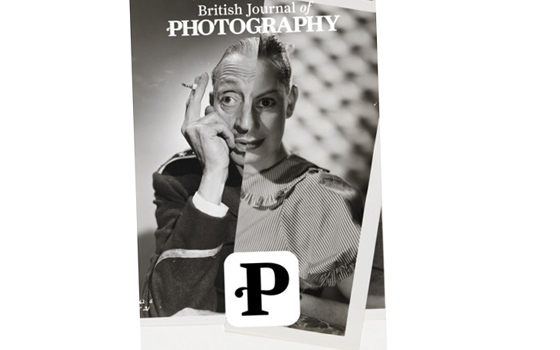 The British Journal of Photography has launched a redesigned version of its publication specially designed for the iPhone. The 158-year-old publication decided to completely recreate its pages for the smaller screen of the iPhone and split the 100 page monthly magazine into smaller, more frequent editions. A spokesperson for BJP said: "Uploading print pages into an app is easy for publishers, but the result is a page that you have to keep pinching and zooming to read. 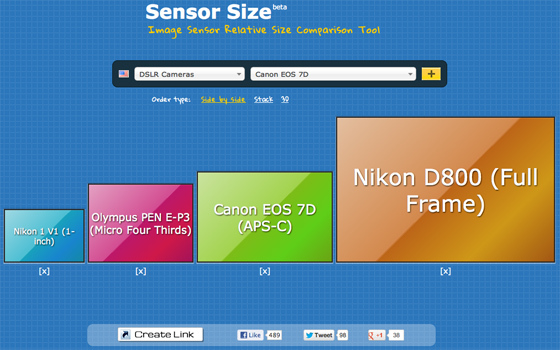 Even the 36-megapixel Nikon D800 has got nothing on this. Engineers from Duke University have created a prototype camera that can capture up to 50 gigapixels of data -- that's 50,000 megapixels. The camera’s resolution is five times better than 20/20 human vision over a 120 degree horizontal field and is actually created by synchronizing 98 tiny cameras in a single device. "Each one of the microcameras captures information from a specific area of the field of view," said researcher David Brady.